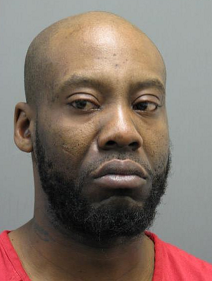 A 41-year-old Maryland man was sentenced Nov. 26 to serve six years and five months in state prison. Demond Maurice Robinson pleaded guilty in August to one count of possession with intent to distribute a schedule I or II controlled substance. His arrest stems from a Loudoun County Sheriff’s Office investigation that found Robinson was supplying cocaine to a local dealer. Search warrants for Robinson’s phone showed that he would travel from Baltimore, MD, to a local dealer’s residence in Loudoun and showed a conspiracy between the two individuals to distribute cocaine. Robinson’s criminal history dates back to 1996 and includes convictions for use of a firearm in the commission of a felony, carjacking, burglary, possession with intent to distribute narcotics, possession of a controlled substance, and assorted misdemeanors. Fleming noted the devastating impact these types of drugs have on the lives of many people, especially young people whose minds are not yet developed enough to understand the dangers associated with illegal narcotics. In addition to the six-year, five-month active sentence, Fleming imposed an additional one year of suspended penitentiary time and one year of post-release supervision.